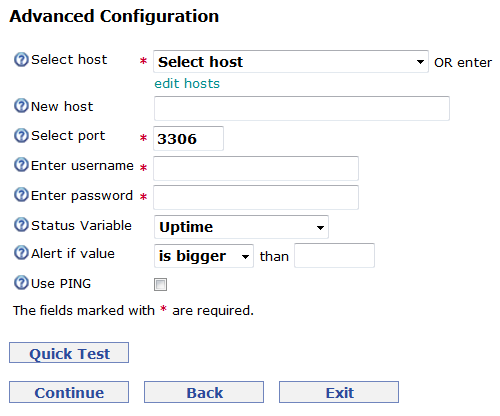 To ensure your MySQL server accepts connections, you can use our MySQL basic level of monitoring. 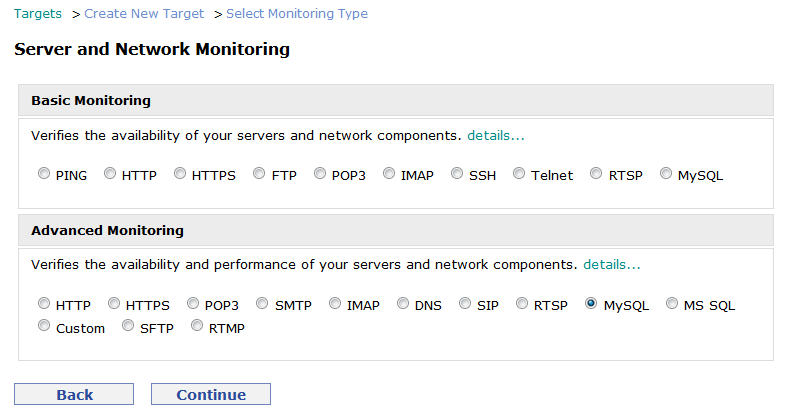 In the Basic Configuration section you can specify the target label, monitoring interval, timeout value, etc. You can also choose which of the extra services you want to use like takeover, traceroute on error, force monitoring, etc. After you have made your selections and click continue, you will go to the Advanced Settings section. You will be able to select the host name from the drop down menu if you have already used it for setting up other targets. 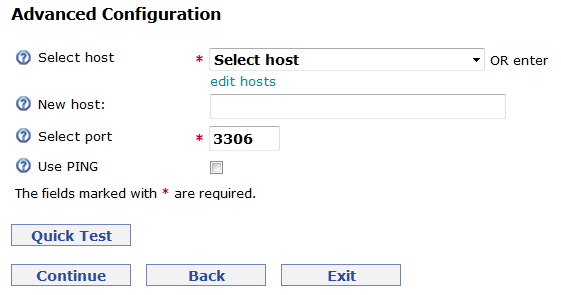 If not, you will have to enter the hostname or IP address in the new host field. If you are using a port different than the default 3306, you need to change the port value as well. If you check the use of PING option, we will also ping your server on every check and you will have the ping information in the reports as well. Keep in mind that the PING packets should be allowed through your firewalls so you might need to whitelist some of our IPs. This is the basic level of monitoring and it will not provide you with a lot of detailed information. We will only alert you when your database stops accepting connections or if we are not able to reach your server, or your server responds slower than usual. If you need a more advanced database monitoring, however, you should consider using our advanced level. 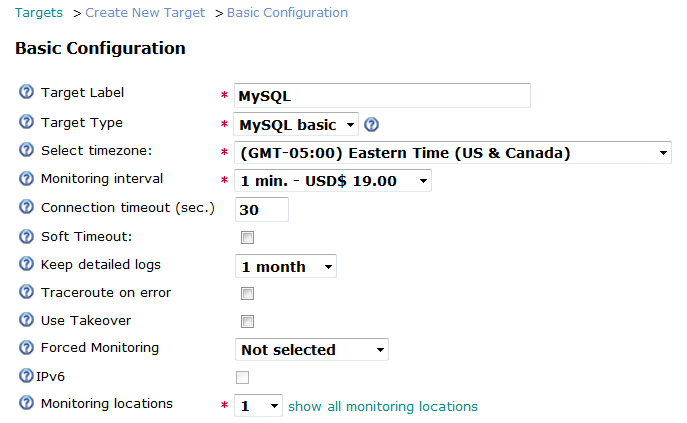 The basic configuration for a MySQL advanced target is exactly the same as for the basic monitoring. There are certain differences in the advanced configuration section. 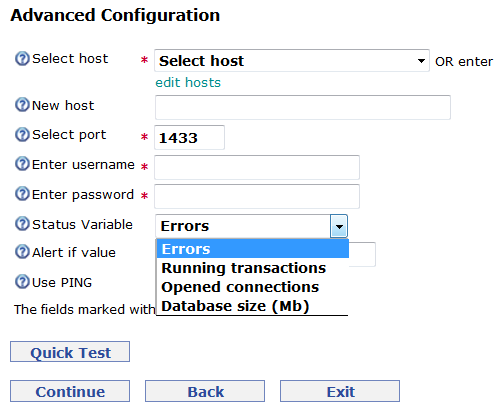 Here we will not only open a connection to your MySQL server, but we will also log in and check some of the variables’ values of the server. You can be alerted in the cases where the values are bigger or smaller than a specific number. Keep in mind that you have to provide us with log in credentials in order to be able to use this level of monitoring. We need access to your database server which is always a vulnerability risk. When creating the test credentials, give us only permission to access the variables which we are going to test and not the administrator access to your database. 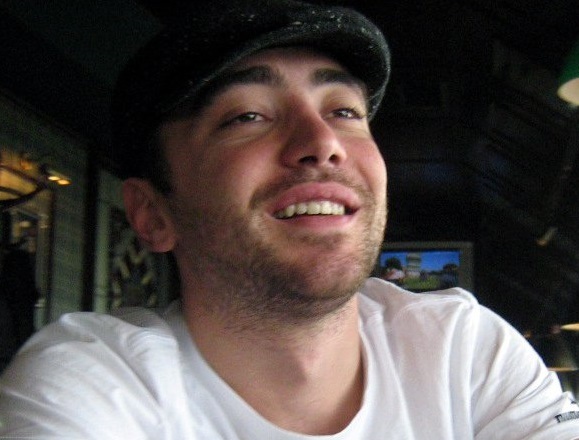 Another good idea will be to allow access only from our IP addresses and whitelist only them. We can also monitor MS SQL servers. There are a few small differences to the advanced configuration section of these types of targets. Once again, you can be alerted in the cases where the values are bigger or smaller than a specific number. Accessing your database from outside your network is not the most secure option you can use. If your administrators do not want to allow access from outside your data center, there is an option which you can use and we can still monitor if your database works correctly. All you need to do is create a script on your machine that will run some database tests and publish the results on a webpage that is accessible from the Internet. You can then use our performance level of monitoring and look for specific keywords like OK or Error on that specific website.